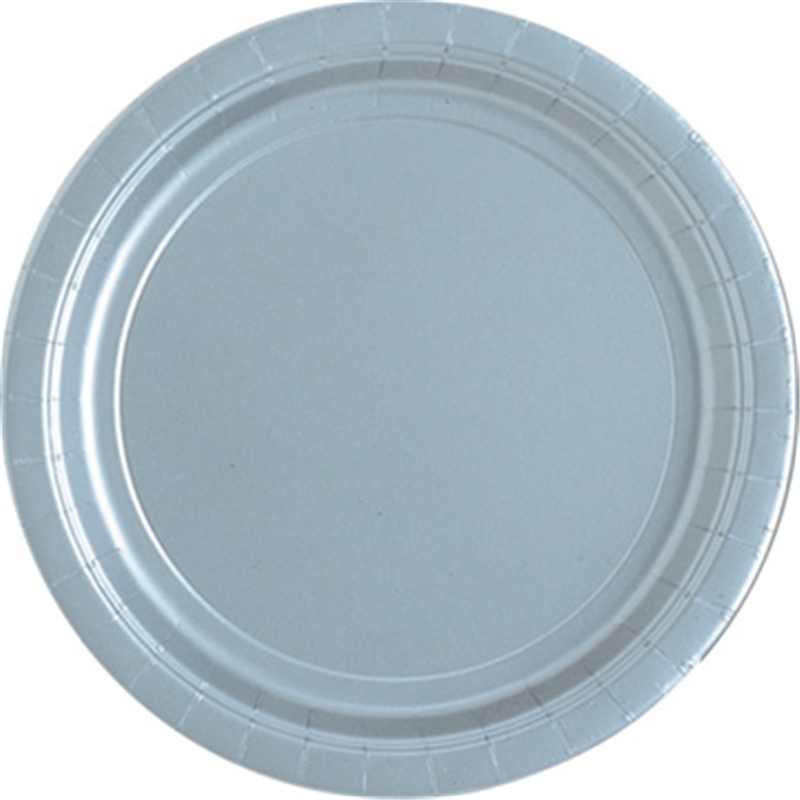 7" Silver Round Plates.Includes: 20 Silver Round Plates.Dimensions: Approximately 7" in Diameter.Color: Silver.These plates are made from paper and are round in shape. Great for any party! Don't forget the napkins and cups to complete the set!Made by Unique Industries. Includes: 20 Silver Round Plates. Dimensions: Approximately 7" in Diameter. These plates are made from paper and are round in shape. Great for any party! Don't forget the napkins and cups to complete the set!